Show your love for Old Glory & America! Join us for a family-friendly concert event and flag raising ceremony, celebrating three centuries of veterans and patriots! 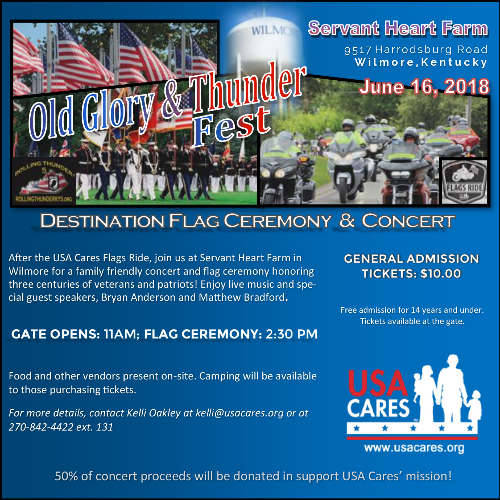 Servant Heart Farm is partnering with USA Cares to present the Old Glory and Thunder Fest! Join us for a family friendly concert and flag raising ceremony honoring three centuries of veterans and patriots! Enjoy great live music and special guest speakers, including Purple Heart recipients Bryan Anderson and Matthew Bradford. King James (www.kingjamesband.com﻿), Rex Carroll and others will be performing live during the event. Additionally, food & other vendors will be on-site during the festival. Gates open at 11:00 am; flag ceremony begins at 2:30 pm. General admission tickets cost $10, with free admission to children ages 14 and under. Tickets are available for purchase online at www.bit.ly/thunderfest18 and at the gate on the day of the event. 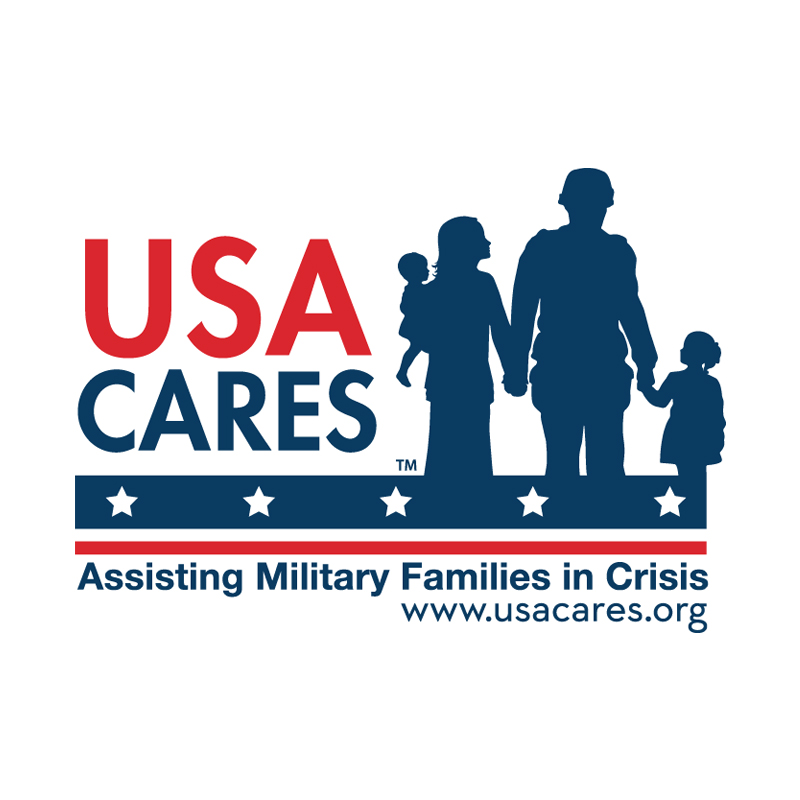 For more information about USA Cares and its mission to assist military families in crisis, visit www.USACares.org. Camper Sites and Primitive Camping will also be available. To reserve your camping site, visit www.servantheartfarm.com . Mark your calendars and don't miss out on this awesome patriotic event!